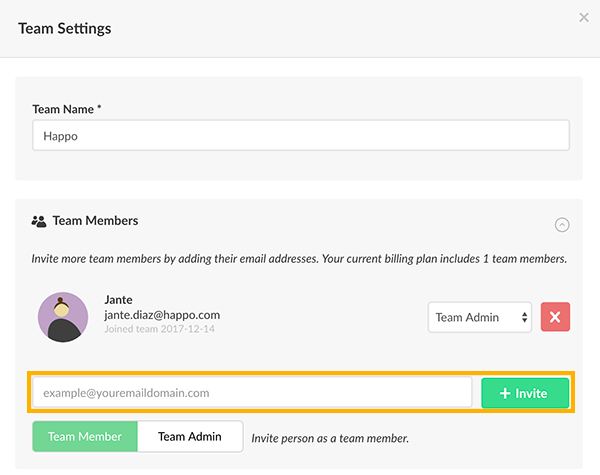 People in a Team have standards set by the Team Admin across all positions. 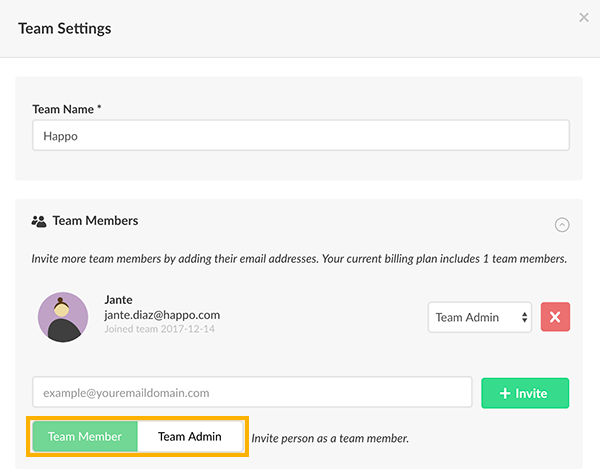 Team members - Have access to Happo paid features, but cannot invite people or change Team Settings. Admin can set standards for their positions.